Take warning! Alternating currents are dangerous. They are fit only for powering the electric chair :) The only similarity between an AC and a DC lighting system is that they both start from the same coal pile. And thus did Thomas Edison try to discourage the growing use of alternating current electric power that was competing with his DC systems. Edison had pioneered the first true central generating station at Pearl Street, in New York City, with DC. It had the ability to take generators on and off line and had a battery supply for periods of low demand. Distribution was at a few hundred volts, and the area served was confined because of the voltage drop in conductors of a reasonable size. 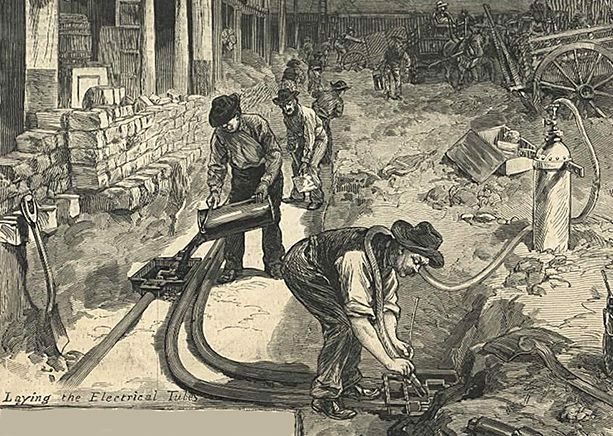 The use of DC at relatively low voltages became a factor that limited the geographic growth of the electric utilities, but DC was well suited to local generation, and the use of electric power grew rapidly. Direct current motors gradually replaced steam engines for power in many industries. An individual machine could be driven by its own motor instead of having to rely on belting to a line shaft. Low-speed reciprocating steam engines were the typical prime movers for the early generators, many being double-expansion designs in which a high-pressure cylinder exhausted steam to a low pressure cylinder to improve efficiency. 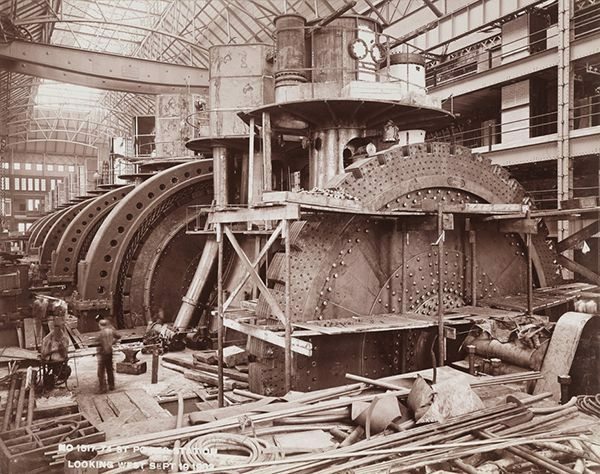 The double-expansion Corliss engines installed in 1903 for the IRT subway in New York developed 7500 hp at 75 rpm. Generators were driven at a speed higher than the engine by means of pulleys with rope or leather belts. Storage batteries usually provided excitation for the generators and were themselves charged from a small generator. DC machines could be paralleled simply by matching the voltage of the incoming machine to the bus voltage and then switching it in. Load sharing was adjusted by field control. Alternating current generators had been built for some years, but further use of AC power had been limited by the lack of a suitable AC motor. Low-frequency AC could be used on commutator motors that were basically DC machines, but attempts to operate them on the higher AC frequencies required to minimize lamp flicker were not successful. Furthermore, early AC generators could be paralleled only with difficulty, so each generator had to be connected to an assigned load and be on line at all times. Battery backup or battery supply at light load could not be used. Figure 1 above shows the difference. Finally, generation and utilization voltages were similar to those with DC, so AC offered no advantage in this regard. 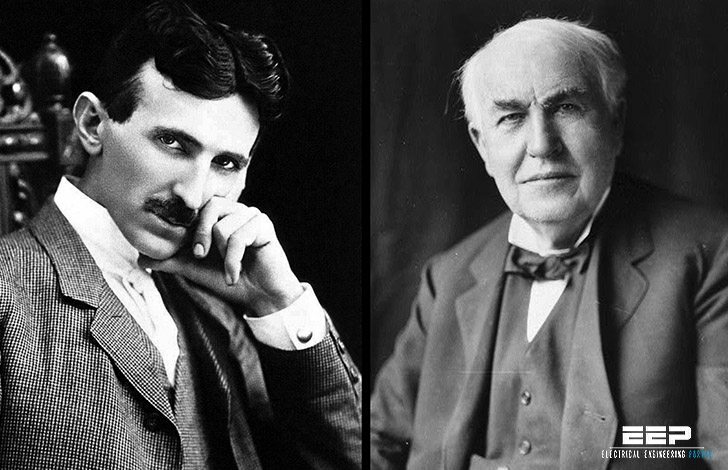 Two key inventions then tipped the scales toward AC and initiated Edison’s famous statement that opens this article. The first of these was the transformer. George Westinghouse acquired the patent rights from Gaulard and Gibbs for practical transformers. They allowed AC power to be transmitted at high voltages, then transformed to serve low voltage loads. Power could now be transmitted with low losses yet be utilized at safe voltages, and this meant power could be generated at locations remote from the load. Hydroelectric generation could supply industries and households far from the dam. 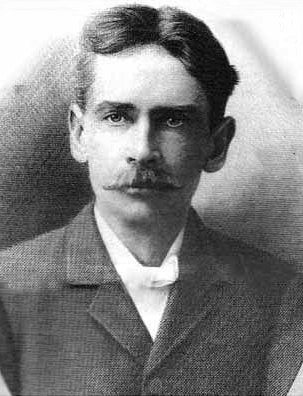 An early installation of AC generation and distribution was made by William Stanley, a Westinghouse expert, in Great Barrington, MA, in 1886. Distribution was at 500 V, and the Siemens generator, imported from London, supplied two transformers connected to some 200 lamps throughout the town. 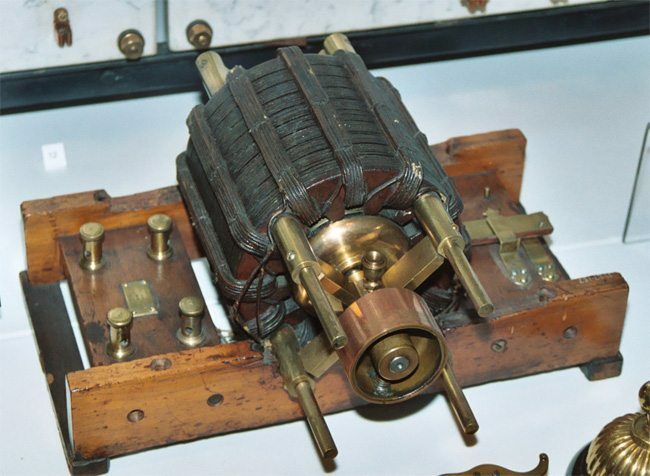 The second invention was that of the induction motor, the result of research by a brilliant young engineer, Nikola Tesla, employed by Westinghouse. The first designs were for two-phase power, although three-phase designs soon followed. Three-phase transmission was preferred, because it minimized the amount of copper required to transmit a given amount of power. The simple, rugged induction motor was quickly put into production and was the key to utilizing AC power by industry. The induction motor required no elaborate starting means, it was low in cost, and it offered important advantages in unfavorable environments. Together, the transformer and induction motor were responsible for the rapid growth of AC power. The superiority of AC power was proven when Westinghouse lighted the Columbian Exposition at Chicago in 1893 with a two-phase system and literally turned night into day. Edison held the patents on the glass sealed incandescent lamp, so Westinghouse devised a stopper lamp design utilizing sealing wax. It was not a commercially successful design, but it did the job. The dazzling display was a source of awe for the visitors, many of whom had never seen an electric light. A second major advance in AC generation and transmission was an installation at Niagara Falls. The power potential of the falls had been recognized for many years, and various schemes had been proposed for using compressed air and mechanical methods to harness the power. A final study resulted in the installation by Westinghouse in 1895 of AC generators using a 25-Hz, two-phase system that incorporated transformers and transmission lines to serve a number of factories. The 25-Hz frequency was chosen despite the growing popularity of 60 Hz, because it was recognized that a number of the process industries would require large amounts of DC power, and the rotary converters then used could not function on 60 Hz. Frequencies of 30, 40, 50, and 133 Hz were also in use in the 1890s, and 50 Hz persisted until mid century on the Southern California Edison System. A number of utilities also provided 25-Hz power late into the last century. AC vs DC competition has become active again. Bulk power transmission is moving to DC, of course, but most electrical loads have quietly turned into DC loads. In both commercial and industrial practice, large motors are usually supplied via VFDs. (This includes air conditioning fans and some chillers.) Modern VFDs often provide terminals to connect their DC links to an external power source. Electronic ballasts – and LED drivers – also rectify input power before adapting it to the load. It is not necessary to belabor the dominant role of DC in powering electronics ranging from radar to computers. Led by data centers, facilities are beginning to adopt building-scale DC power distribution. What was once hopelessly expensive has become cheap, and DC’s coming back. Una radiografía muy didáctica e importante de lo que es la energía eléctrica, con palabras muy sencillas y acequibles a todo público.